One of Europe’s leading manufacturers of Data Centre Infrastructure and ATS (Automatic Transfer Switch) products - Austrian-based EPS Electric Power Systems - has turned to Scolmore Group’s innovative IEC Lock to provide vital power protection properties for a number of products. 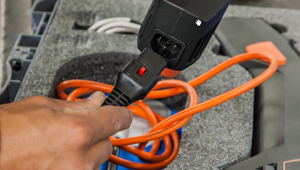 IEC Lock C13 and C19 outlets have been incorporated into two of ESP’s key products - the ATS3020 RM Lock and the EBS3000 RM Lock. 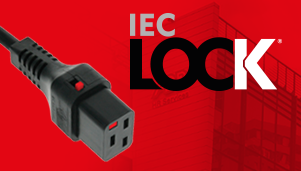 Since its launch in 2010, the IEC Lock has been providing protection for computers, servers, PDU’s and most electrical appliances that are vulnerable to vibration and accidental disconnection - by way of a unique locking mechanism. Scolmore has just launched the IEC Lock+ - which incorporates a new release mechanism and has been designed to be implemented in areas where access is limited and ease of removal is of paramount importance.